Search Results for "Classroom 2.0 LIVE March 2018"
This binder contains PBL using web 2.0 to support the curriculum. This contains resources for the Web 2.0 presentation. A list of free Web 2.0 resources to use in the classroom. Tools used in the GT classroom that are free or almost free to create creative and in-depth products for the digital learner. A collection of custom shelves embedded onto websites and blogs. Great way to share resources directly from your site. 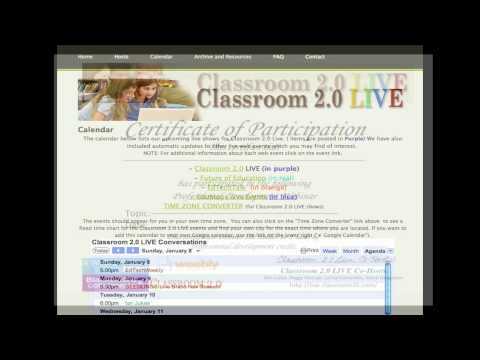 Find links to web 2.0 tools that will make your classroom more effecient and engaging. Transitioning to a web 2.0 and technology based classroom of the future doesn't have to be miserable. Lessen the blood, sweat and tears by using some my favorite helpful web sites.